Portuguese architect, Álvaro Siza Vieira was awarded numerous prizes and honors including the Pritzker Prize in 1992, the Wolf Prize for the Arts in 2001, the RIBA’s Royal Gold Medal in 2009 and the Career Golden Lion for the 13th Venice Architecture Exhibition in 2012. What Are The Major Events In His Career? 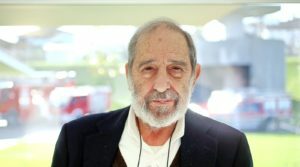 Álvaro Joaquim de Melo Siza Vieira was born on June 25, 1933 in Matosinhos, near Porto (Portugal). He studied architecture at the Escola Superior de Belas Artes in Porto. Between 1955 and 1958 he began his activity as an architect, collaborating with Fernando Távora, and then opened his professional studio in Porto, the city where he currently lives and he works. Between 1966 and 1969 he taught in the Faculty of Architecture of the University of Porto and in 1976 he was appointed professor in the Construction discipline. Academic activity ends in 2003. Siza has made many prestigious works in Portugal and his work has been also presented all over the world: in Italy, in particular, in 1979 at the Pavilion of Contemporary Art (PAC) in Milan, in 1999 at the Palladian Basilica in Vicenza, in 2000 at the Palazzo Ducale in Venice, at the MART in Rovereto in 2013 and at the Architecture Biennials in Venice (the Portuguese Pavilion 2016 is dedicated to his work). He has been invited to many international competitions and has won numerous awards, including the Pritzher Prize (1992), the Royal Golden Medal for Architecture of the Royal Institute of British Architects (2009), and the Golden Lion for Lifetime Achievement. of the Venice Biennale (2012). He is a member of the American Academy of Arts and Sciences and an honorary fellow of the Royal Institute of British Architects, of the AIA American Institute of Architects, of the Académie d’Architecture de France, of the European Academy of Sciences and Arts, of the Academy Royal Swedish Fine Arts and the National Academy of San Luca. The church of Saint Jacques de la Lande is the 21st century to be built in the French region of Brittany. 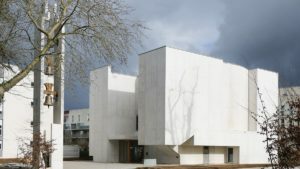 Curated by the Portuguese Álvaro Siza Vieira, the project materializes in a block of white cement with light cuts that illuminate the presbytery area, gently inserted in the southern district of Rennes. The main concern of the Portuguese architect is the integration of architecture with the existing urban context. The church was designed in such a way as to occupy the same volume of the adjacent buildings, the same dimensions and spaces, so as to result in a minimally invasive building intervention, and dialogue with the residential district. Another peculiar feature of the church is the second circular-shaped, cylinder with a diameter of 14.75 meters and a height of 12 meters. The Anastasis, seen from the side of the main entrance and its bell tower. © Diocese of Rennes. The upper floor is characterized by a square square suspended that controls the entry of natural light into the room, filtering the light that comes through the skylights, and equipped with a counter ceiling with ventilation system and integrated artificial lighting. The material used for the external structure is reinforced concrete with thermal insulation. The signs of throwing are left exposed, in order to have a brutalist exterior, which contrasts with the care of the interior. The parish center has a bright marble flooring inside, walls covered with white marble panels in the kitchen and bathrooms. The floors of the basement are in epoxy resin and the walls have cladding panels of the same material. The external doors and windows are made of wood with aluminum finishes. 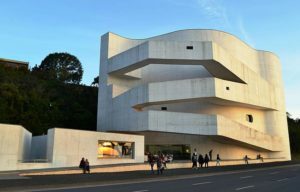 The Iberê Camargo Museum is situated in Porto Alegre, Brazil and it opened in 2008. The MoMA museum acquired 21 drawings and a model of the Iberê Camargo, which is considered representative of the “total maturity of the personal style” of the Portuguese architect and that is “a building of prominence in the work of Siza, as well as in the architecture of the XXI century in general“. The acquisitions also include 30 drawings, 21 photographs, a model and brochure of the housing project of São Victor, in Porto, representative of the architectural production of the revolutionary period in the post-25th of April. It was created and built between 1974 and 1977, within the scope of operations SAAL (Local Ambulatory Support Service), which mobilized several Portuguese architects to offer better housing conditions to underserved populations. Lastly, MoMA’s press release describes it as “one of the most elaborate and refined examples of this master’s experimental approach“. Álvaro Siza Vieira is one of the leading architects of the twentieth century and one of the names to which Portugal is associated abroad. The life and work of Siza Vieira is essential in the history of contemporary architecture, being linked to various national and international constructions. The decorations are the normal and natural result of a journey that has its roots in Porto and in academic and artistic associations, which culminated in the expansion of horizons, perspectives and forms with the scent from the outside. A name that is symmetrical to what is the greatness of what it has conceived and done up to now, continuing to work and lending its credits to countless projections and results. Hillside Chapel. 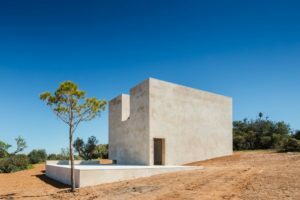 It will be the first part of a larger spirit-restoring retreat in Portugal’s Algarve. Taking as a reference the organic North America of Frank Lloyd Wright, the Austrian hierarchical Adolf Loos and also Finnish naturalist Alvar Aalto, Álvaro Siza Vieira has found its own identity and the way the labors of design and construction. Assuming a modernist and avant-garde perspective, recognizable in its architectural forms and senses, it has not forgotten the Portuguese traditions and paid special attention to them, above all with regard to their minuteness and rigor. The untimely death of his wife in 1973 influenced the course of his career, leading him to collaborate and work more often abroad. 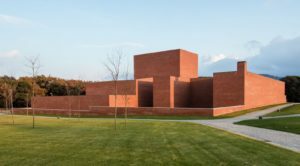 His architectural record was known as “poetic modernism“, underlining the influence of the Mexican Luis Barragán for conceptual and formal virtuosity.